Most college students in engineering and design take one or more design project classes, often a Senior Capstone Design Projects Class, in which they work individually or as teams to develop solutions to problems. We are trying to tap this resource and encourage students to consider selecting design projects related to propeller safety. More student design projects would help grow the body of knowledge available to the industry and to boaters. In addition to engineering and design students, we also welcome those from all fields and encourage them to consider projects in this area for their capstone classes. If you or others are interested in a college design class project or capstone project in propeller safety, propeller injury avoidance devices, or related fields, please view the projects listed below and contact us for additional assistance. A few Masters and Doctoral students have written thesis and dissertations in this field. We strongly encourage Masters and Doctoral students looking for thesis and dissertation topics to contact us and discuss some of the possibilities available in their specific field of interest, as well as those looking for topics for scientific and technical papers. We list of several possible boating propeller safety research projects below and will be posting more over time. Most of these topics are in the areas of Industrial Design, Mechanical Engineering, Fluids, Mathematics, Computer Aided Design (CAD), Computational Fluid Dynamics (CFD), Electrical Engineering, Statistics, and Safety. Some are in Economics, Health, Psychology, Marketing, and Human Behavior. If you are in another field, looking for a research project, and interested in impacting boat propeller safety, please contact us and we will help you brainstorm possible ways you can help as well. 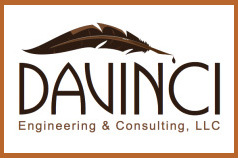 If you are with a company considering developing some of the inventions/ideas listed below on your own, we strongly encourage you to visit with Davinci Engineering. They provide new product design services for hire and have a lot of experience in designing recreational marine propulsion products. Davinci can help you get a better product to market and get there faster than you can on your own. Explore how to increase the visibility / detection of water skiers, wake boarders, tubers, donut riders, banana boat riders, etc. after the fall from the implement to help keep them from being ran over by the tow boat, another boat, or a PWC. See Improve Visibility of Water Skiers, Wake Boarders, & Tubes: Senior Design Project. Development of a life jacket / PFD that contains an RFID tag for use as an emergency engine kill switch. Developing a Self Contained Economical Version of Mercury Marine’s Moving Propeller Alert System that flashes LEDs to indicate when the propeller is turning. Mercury’s system is based on their SmartCraft CANBUS system and very expensive. We propose developing a self contained system. Develop an economical, reliable way to detect people in the water near the propeller. That capability would allow others to develop a Virtual Propeller Guards (systems to take the appropriate actions) that do not require those in the water to wear anything special to be detected. We identify several potentially useful technologies for detecting people in the water on our Propeller Guard Technologies <2011 page. Plus see the three Brunswick patents, U.S. Patent 7,105,800 Detection System and Method for a Propeller Driven Marine Vessel With a False Triggering Prevention Capability, U.S. Patent 7,511,276 Heat Source Sensor for a Marine Vessel, U.S. Patent 7,476,862 Method for Detecting a Source of Heat Near a Marine Vessel. Also see Volvo Penta U.S. Patent 8,195,381, and Honeywell U.S. Patent 8,035,514 (dealing with bright white light). While some efforts and progress has been made in this area, more remains to be made. We also refer you to a bibliography a student working on a virtual propeller guard project put together on human detection methods in 2005. Develop a Circle of Death Boat Propeller Accident Intervention System to automatically stop boats which are wildly circling with no one at the helm. See our Circle of Death Boat Propeller Invention page for background information and some possible approaches. Developing a Cushioned Propeller Guard to reduce blunt trauma injuries to those struck by propeller guards. Continue the Computational Fluid Dynamic (CFD) analysis of propeller guards began by Oliver Lee of University of Sydney in Propeller Guard Designs: An Investigation Using CFD. Also see our post titled, Computational Fluid Dynamics (CFD) in Modeling and Testing of Propeller Guards. We also note there has been some CFD work done on ducted propellers to improve the performance of the propellers. Ducted propellers can also be seen as propeller guards. Those studies may be of interest to researchers modeling other types of propeller guards. Computational Fluid Dynamics (CFD), mathematical, and experimental investigations into propeller guard flows, pressures, and drag as compared to an open propeller, including boat hull, and drive interactions. Also see the project immediately above this one. Improve the visibility of towed toys and those riding them (water skis, wake boards, banana boats, tubes, etc.) AND the visibility of riders after they fall. They need to be clearly seen from the tow boat, other boats, PWCs, etc. Design a warning decal or placard using safety symbols (no text) to brief people about the hazards of rotating propellers before they get into the water that clearly illustrates the need to stay “X” meters away when the engine is running as the propeller may be turning. The boat is only to be approached when the boat operator signals that it is safe and the engine is stopped. The decal should meet the relevant portions of ANSI Z535. An all pictorial/symbol warning would be useful because some people are illiterate or do not understand English or other main languages, and others do not pay attention to the traditional warnings. For reference, please see our photos of existing propeller warnings at the 2012 Tulsa Boat Show and ANSI Z535. The all pictorial/graphical propeller warning could be distributed directly to boaters at boat shows, marinas, and other venues. Boaters could install it if they saw fit to do so. Also note, many boat operators have been individually sued after propeller accidents. An easy to understand warning could both prevent accidents and add one level to their defense if one did occur. In addition to traditional boaters, the all graphical warning might be useful to rental houseboats, diving tour boats, snorkeling tour boats, party barges, etc. I put “X” meters in the description as various groups disagree about exactly how many meters one should stay away. The exact number could be determined after the design is completed. Or different groups could select a different number of meters to be printed on their warning decals. Develop test dummies for use in testing propeller guards. Develop virtual test dummies for use in computer models to investigate how people are struck by propellers and how guards interact with humans. Some good places to start would be SantosHuman and human body models used in flooding and tsunami models. Modeling Boat Motor Log Strikes. Converting a high speed ship driftwood impact paper to a recreational boat perspective, incorporating log strike systems into the analysis, and comparing loads with those generated by dry land impact test stands (log strike test stands). Modeling the Risk of a Propeller Striking a Person or a Submerged Object. Developing a model that could be used to perform risk assessments and guide future regulations, product designs, boating safety practices, boating area designs (lakes, activities, locations, ramps, docks), boating activities, and other broad scale propeller safety efforts. Estimating the Total Number of Propeller Accidents including unreported accidents, using statistical techniques to compare independent accident databases. The same techniques are used in similar studies of other types of accidents. Design a Propeller Guard for Courtroom Use. The industry refuses to accept guards that cause any side effects. We suggest designing a guard that may provide less protection, but has no unwanted side effects. The Courtroom Designed Propeller Guard could be used to force the industry to step, once they stepped, they would most likely select a guard providing more protection for those applications that need a guard. Improving and further developing our Guide to Selecting Propeller Guards and Other Propeller Safety Devices. Our efforts are online at Developing a Consumer Guide for the Selection of Propeller Guards and Other Propeller Safety Devices. Investigating a sharp drop in the drag coefficient curve that may be exploited to allow the use of larger diameter rods, wires, and struts in conventional cage type propeller guards without an associated drag penalty in some applications. Propeller Guard Drag Research Projects, a collection of projects to give propeller guard designers a better understanding of the variables involved in optimizing propeller guard rod, wire, strut shapes, sizes, and placements. A tool for quickly estimating boat drag and drag of a propeller guard or other appendage (we have the tool, it just needs some verification and written up). Investigating a vertical vortex behind the propeller in which people may actually float downhill into the propeller when the prop is in reverse. Investigating open propeller inlet flows in shallow water (like people being pulled into the propeller of a beached houseboat with the propeller in reverse). Developing a unique, attention grabbing, viral propeller safety marketing campaign we have in mind. Graphical, design, marketing, and creative minds would be needed. Study what we call the vaccination effect (a traumatic accident causes some family members, friends, acquaintances, others in the region, and those reading of it in the media to temporarily change their behavior practices) as it relates to boat propeller accidents. It is as if they have been vaccinated with propeller safety until it wears off. Some work has been done in this area for other types of accidents (like road traffic accidents). Follow up with previous propeller accident victims (the accident victim or surviving family members of those in fatal accidents) to see how boat propeller accidents effected their life, physical and mental health, earning capacity, well being, household, family relationships, and other intangible costs. Reference: A Quantitative Approach to the Intangible Coast of Road Traffic Injuries. Vol.19. No.1. March 2012. Pgs. 69-79. Use of rotated warnings such as a smart LED display that automatically displays warnings it thinks to be most relevant (based on location, time, weather, water roughness, local events, etc.). Reference: Providing Cognitive Support With Technology-Based Warning Systems. Vol.48. No.5. (15 April 2005). Pgs. 522-533. We have created separate posts in our Research Projects Category for several of the propeller safety research projects listed above and will continue to add more as time allows. Those posts contain background research and information to assist potential researchers in getting up and going quickly. We strongly encourage those taking Senior Design Classes / Sr. Design, Senior Design Thesis, Sr. Design Thesis, Capstone Courses, Senior Design Report, Industrial Design project or thesis classes, selecting Masters Thesis topics, Masters Projects and other similar educational research projects to look through these projects, select one that meets their interest, and contact us about other information we may have in that specific field. We certainly welcome researchers from the boating industry as well. Please consider sponsoring one or more of the potential student research projects listed on this page by supplying funding, hardware, mentors, or other resources. See our Call for Sponsors for Student Propeller Safety Research Projects page for additional information. If you have other related projects you would like to sponsor or see listed here, please contact us as well. These projects will be taken on much faster by student researchers if we are able to provide some resources and encouragement. Power Performance of Planing Boats With the Effect of Propeller Selection and Propeller Guard Design. Daniel M. Ladd. a M.S. thesis from Oregon State University. 1976. Failure Analysis & Redesign of G.T. Prop Guard. Mike Adams, Rick Evans, and Guy Roundy. Weber State University. 1994. Redesign of the G.T. Prop Guard (progenitor to Guy Taylor’s 3PO propeller guard) to extend its life. They also designed a mounting tool to assist in installation. Analysis of the Regulatory, Legal and Public Policy Issues Surrounding an Attempt to Commercialize a Safer Outboard Motor Propeller. Gary Eichenbaum. Public Policy 399. Independent Study. Professor Dr. Howard Kunreuther. Co-Director of the Risk Management and Decision Processing Center. Wharton School of the University of Pennsylvania. Spring 1995. Looks at the three parties (boating industry, propeller guard advocates, boaters) and the decisions surrounding use of propeller guards. The Anatomy and Biomechanics of Experimentally Traumatized Human Cadaver Lower Extremity Components. David James Porta. Dissertation. Doctor of Philosophy. Dept of Anatomical Sciences and Neurobiology. School of Medicine. University of Louisville. Louisville Kentucky. 1 August 1996. This dissertation discusses the 1990 OMC and Mercury Marine testing of propeller guards using cadaver legs by Kress. This section is on pages 148-166 of the dissertation (Adobe pages 167-185). Impact Biomechanics of the Human Body. Tyler A. Kress. PhD Dissertation University of Tennessee, Knoxville. May 1996. Part 10: Biomechanical Effectiveness of a Safety Device: A Boat Motor Cage Type Propeller Guard. Pgs. 179-188. His dissertation based on the Mercury/OMC testing at SUNY. Prop Buddy: The Next Generation Propeller Guard. Stacy Roberts, Hiromi Nakamura, Kari Chaney. 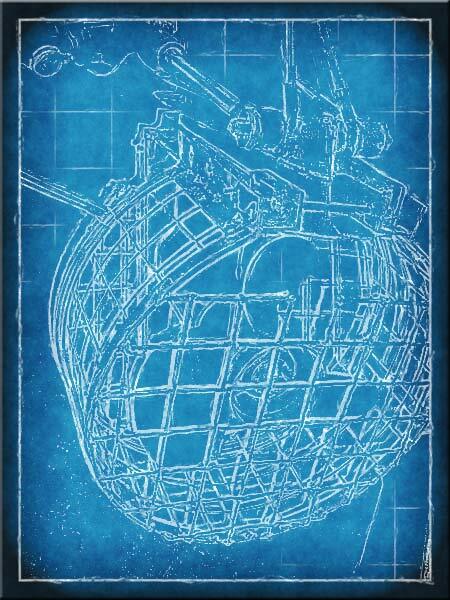 OCE 4541: Ocean Engineering Design. Florida Institute of Technology. Is listed as a 1998 Topic for this class. It was also available as a 1999 SNAME paper. They experimented with several variables on the ring portion of the Prop Budddy guard. Manatee Guard. A 1999 Hope College Engineering Department Fall Design Project by Douglas Harris Cameron. He generated the requirements for a guard to successfully protect manatees from boat propellers including good hydrodynamic properties and staying attached to the motor. Then he came up with 7 possible design concepts, chose a final design based on performance using a decision matrix, and created a cardboard and copper wire mockup for a 150hp outboard to verify dimensions. Lastly, he constructed a fully functional prototype of the final design. Propeller Guard Manipulation of the Reduction of Secondary Pressure Waves and Turbidity Levels. Paul Gregory Mueller, age 17, Hilton Head High School, Hilton Head South Carolina. This high school student project received an honorable mention award from the U.S. Coast Guard at the 2003 Intel International Science and Engineering Fair held in Cleveland, Ohio. Aqua Guard: A Performance Propeller Guard. A 2004 joint proposal between Aukland University Engineering Department (New Zealand) and Stainless Steel Design Ltd of Hamilton New Zealand to develop a Kevlar reinforced propeller guard for standard outboard motors. “Designing an Intelligent Propeller Safety System” by Bram van der Vlist of Eindhoven University of Technology. October 2005. Includes a literature review of ways to detect the presence of a human body, a survey of potential users, graphics illustrating the ways people come in contact with a propeller, and a system utilizing a wearable “tag” to detect if a person is in the water, how far they are from the propeller, and take appropriate action, as well as a discussion of how the system should “look and feel”. We are proud to have participated in this student project. Designing an Intelligent Propeller Safety System. From U.S. Coast Guard docket USCG-2001-10163. a 2.5 MegaByte .pdf file. Click on the orange pdf button to view. Influence of Small Vessel Operation and Propulsion System on Loggerhead Turtle Injuries. Adam Sapp thesis at Georgia Tech. May 2010. Investigates mechanics of drives, propellers, and propeller guards striking turtles. Influence of Small Vessel Operation and Propulsion System on Loggerhead Turtle Injuries. Paul Work, Adam Sapp, David Scott, and Mark Dodd. Journal of Experimental Marine Biology and Ecology. September 2010. Builds upon Adam Sapp’s thesis listed above. Includes constructing mock turtle shells and impacting them with passing boat drives, propellers, and propeller guards. Propeller Guard Designs: an Investigation Using CFD. Oliver Lee. Masters Thesis. University of Sydney Australia. November 2011. We are proud to have participated in this thesis and very excited to see some groundwork laid in the use of CFD to predict the impact of propeller guards on boat performance. A project looking for researchers as of September 2011 at the University of Sydney in Australia. Brief summary: The Department of Defence would like to look into more efficient designs of propeller guards that comply with the Surf Life Saving Australia (SLSA) policy statement (separate pdf available). Some of the current propeller guards reduce propulsive efficiency by up to 45%. The research project may investigate options for refining propeller guard design using a combination of CFD and experimental (cavitation tunnel) work. Proposed by: DNPS Department of Defence Requirements: An interest in propeller efficiency. Boat Propeller Guards: A Smart Choice. Madi Abeid. A seventh grader in Nauset Regional Middle School, in Orleans. Cape Cod Times: Classroom Times. March 18, 2013. This young girl wrote a great article on propeller guards. Her sister was struck in July 2012. We have copies of the papers above and are working on finding a place to post the ones without copyright issues besides on our site due to their size. If anyone is aware of any completed projects not on the list above, please contact us.